Jan Wong, a Canadian foreign correspondent, not only lived in Beijing at the height of the Cultural Revolution as a young Maoist (she studied at the Beijing University), but she was also a foreign correspondent there between 1988 to 1994. Much of that period is covered in her earlier memoir, Red China Blues. 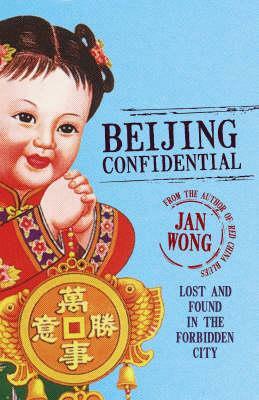 The latest memoir, Beijing Confidential, is more intimate. During her study at Beijing University, Jan Wong befriended a classmate, Yin Luoyi, who expressed a desire to go to American. Jan Wong shopped her friend to the Authorities for being disloyal and that was last she saw of her. Now, after many years, much has changed in Wong’s life, as much has changed in China. She has witnessed much in her time as a correspondent and grown away from her early ideology – and China has left its Communist past behind and embraced capitalism. Wong is able to entertain us with much statistical information; for instance, the biggest Ikea shop outside of Sweden is in Beijing and home ownership has increased from zero to 70 per cent. Mobile phone penetration in Beijing is almost at 100 percent, making it very difficult finding someone after 30 odd years. But it is through this journey that Wong finds out more about herself, the city she has come back to and the friend she once betrayed. Wong’s journey is at times frustrating because of its enormity but at the same time quite personal. Beijing Confidential is a timely and apt addition to the many books now available on modern China as the world focuses on Beijing and the Olympics approach this year.